Wish Writer, for Macy’s - Cincinnati, OH - The Macy's Wish Writer Stylus and App forms part of their annual Believe campaign, providing games and activities for kids, all while teaching children the importance of giving back to others during the holiday season. For every letter written to Santa through the app, Macy's donated $1 to the Make-A-Wish Foundation in hopes to reach their $1 million goal. Make-A-Wish believes that granting a wish to a child diagnosed with a life-threatening medical condition can be a game changer and better the lives of these children. 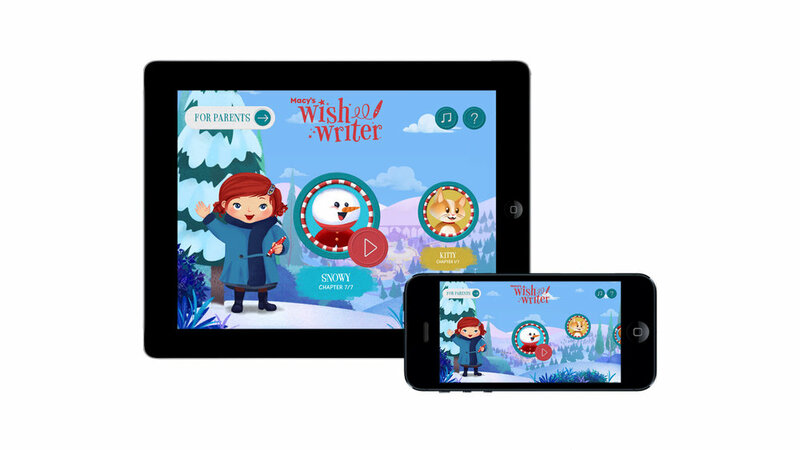 We designed the physical Wish Writer stylus in collaboration with 10xBeta to match the mobile app created by JWT, MediaMonks, and child psychologist Dr. Steven Fox. The stylus is designed to capture the magic of wishing, with stars shining through its metallic red casing. The mobile app created by Mediamonks.